The Peach County Fire Department provides all-risk, all-hazards service to the unincorporated areas of Peach County. The department provides a variety of services to a growing and diverse population. Services include fire suppression, arson investigation, hazardous materials mitigation, search and rescue, fire prevention and fire safety education. The department continually strives to improve service delivery and meet the specialized needs of every area of the county. One of its biggest priorities is the prevention of fires, accidents and injuries, before they occur. This is accomplished through fire prevention, building code enforcement, safety inspections and fire safety education. 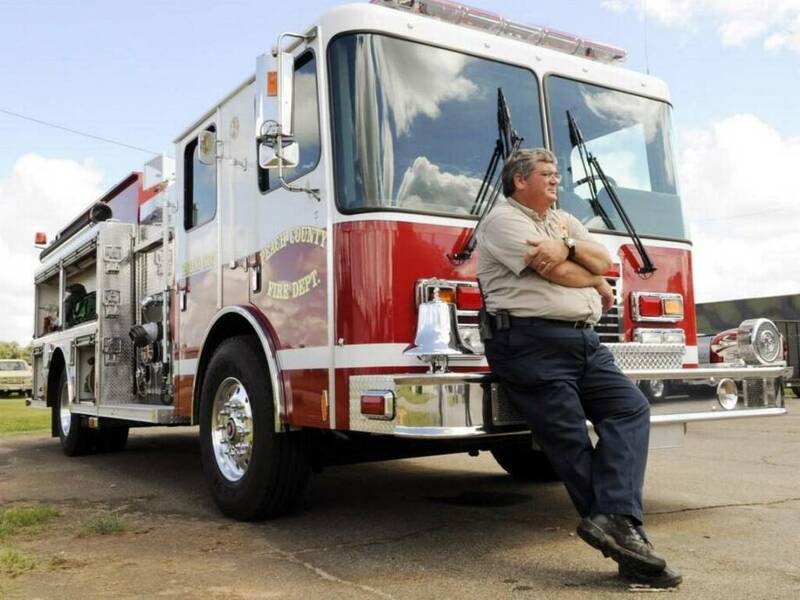 The Peach County Fire Department was established in 1974 as an all volunteer department. 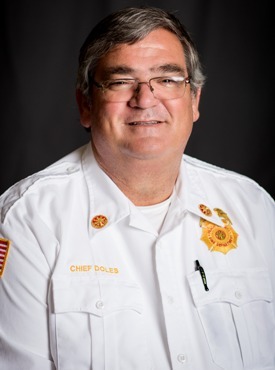 The mission of the department is to provide the residents of Peach County with the most efficient, effective and professional fire protection and rescue services possible. Qualified residemnts wishing to volunteer may download a membership application here. The PCFD uses a highly efficient service delivery system designed to provide the quickest and most efficient response times possible from any area of the county. Personnel are continuously asked to take on greater responsibilities, while responding to an increasing call volume. Above all, PCFD personnel are trained to perform the operations of the department under the most severe conditions. As a result, residents can rely on the fire department in any situation because the PCFD recognizes the importance of delivering high caliber emergency service to the public. Each PCFD firefighter is required to complete 96 hours of intense training each year. The training is a combination of classroom, hands on practical exercises and live fire training. All Peach County firefighters are required to pass and maintain minimum firefighter standards set forth by the State of Georgia. Peach County also participates in the NIFRS national reporting system. Peach County was one of the original departments in Georgia to implement this reporting system. All of the fire department's reports, records and information are computerized. The PCFD training division is also completely computerized and was updated in 2005 with the latest NFPA and IFSTA training materials. The Peach County Fire Department operates six Stations in the county under the direction of a full time Fire Chief, a full time Assistant Fire Chief, a full time training Captain, a full time Administrative Assistant and Volunteer District Chiefs. The department is further staffed with eight full time and 60 Volunteer Firefighters. Stations 1 and 3 are manned 24 hours a day, seven days a week and the other stations are manned Monday through Friday from 8 a.m. until 5 p.m. Each Station is equipped with at least one engine and a minimum of one tanker/service truck. The department has a total of seven engines, 13 tanker/service trucks, 3 aerials (55' Ladder, one 85" Snorkle and one 75' Ladder), two air and light support trucks, four brush/quick response trucks, a haz-mat initial response trailer, a search and rescue boat and a mobile command center. Peach County constructed a new 80x140 five-bay station in 2006 to replace the original Station 1 building built in 1978 in Powersville. The old building was a two-bay station built as a combination fire station/voting precinct. The new station is approximately one-eighth of a mile north of the old station on Peach Parkway (Hwy. 49). The old station was 1,600 square feet and the new facility is an 11,200 square foot station with five 80-foot drive through bays and full living quarters. In 2009 and 2010 Peach County constructed a new Headquarters Station. The building was dedicated and named the “J.D. Donnie Doles Public Safety Complex”, after long serving County Commissioner J. D. Donnie Doles. The facility houses both the Fire Department and Emergency Medical Services Headquarters. The facility is 19,975 square feet. It has five 85' drive through bays for the fire department and three 85' drive through bays for EMS, Administrative offices, day rooms, bed rooms, exercise rooms and kitchens for its employees. Also upstairs contains a large training room and additional offices and administration. Both of these facilities were built with SPLOST (Special Purpose Local Option Sales Tax) funds. Most of the labor for the buildings was provided by full-time and volunteer fire fighters. Georgia Department of Corrections Inmate Construction Labor was also utilized when it was available. The firefighters building these buildings proved to save Peach County Tax Payers in excess of $2.8 Million in construction costs. ISO is an independent statistical, rating, and advisory organization that serves the property/casualty insurance industry. ISO collects information on a community's public fire protection and analyzes the data using the Fire Suppression Rating Schedule (FSRS). ISO then assigns a Public Protection Classification from 1 to 10. Class 1 represents exemplary public protection and Class 10 indicates less than minimum recognized protection. Peach County Lowered its ISO rating from a class 5/9 to a class 4 in December of 2017, which allows Peach County residents to feel safer with the advantage of lower insurance rates. Peach County is continually striving to lower our ISO rating for the tax payers of Peach County.